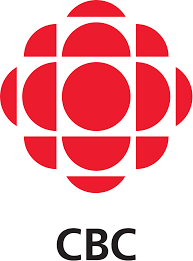 I have been contacted by CBC to see if I have owners selling houses/looking to downsize/interesting stories/also if anyone is buying a cottage and what that experience is like for Canadians across the country. The casting call will be sent out soon. Selling between June and October 2018. Yes, believe it or not this really happened to me. Here is my real life story. A couple months ago, I was going to pick up an item I had agreed to purchase on Varagesale. 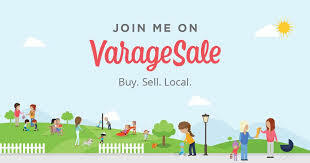 Varagesale is an app that connects with Facebook and enables you to buy and sell stuff locally. As I was walking up the outside stairs of this house, I thought I could detect a natural gas smell which usually means there is a leak nearby. It could come from a gas furnace or gas fireplace or gas appliances, etc. The mother of the girl who was selling the item answered the door and when I told her why I was there, she said she would get her daughter. I told this lady that I could smell gas and she should probably call our local gas company and have them come out and check. There is no cost for this and it’s for safety reasons. The lady either didn’t seem to really care or wasn’t comprehending what I was saying when I told her this. The daughter came out and we exchanged money and the shirt that I was buying and I left. When I got back into my vehicle, I thought about what just happened and got the impression that the lady would not place the call so I took it upon myself to call the gas company. 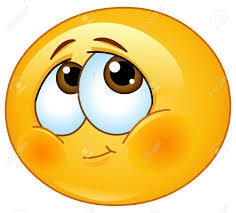 The person that answered my call was a bit surprised that I was calling about someone else’s property and not my own. But I explained to her that I am a Realtor and have smelt this a few times before when I had gone into properties and recognized this smell again. So this lady said they would look into this situation. Very shortly after, I received a phone call from one of the employees of this gas company who said that he was outside this property and got a reading of 2 which he said was very high to get outside and it meant that the whole house was full of gas. He said that the people inside weren’t answering the door when they knocked and he didn’t even want to call them on the phone because that could set off an explosion. So I went back on Varagesale and messaged this person to answer her door and to get out of the house immediately as there was a gas leak and it was dangerous to be there. She did message me later to say thanks. The gas employee also told me that I basically saved their lives by calling in the gas leak. I was both happy that no one was hurt and freaked out that something like this could have ended up in a tragedy. So there, to all my friends and family that critique my use of Varagesale. By using Varagesale, I saved 2 lives! PS How do you detect a leak? Follow your senses! SaskEnergy adds an odour to natural gas so you will quickly know if there’s a problem. If you smell an odour that is similar to skunk or rotten eggs, there may be a natural gas leak. You cannot see natural gas, however if you SEE a vapour, ground frosting, or a significant area of brown vegetation, that could be an indication of a natural gas leak. 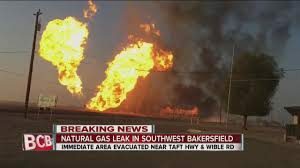 As well, if you SEE continuous bubbling of wet or flooded areas, or dust blowing from a hole in the ground during drier conditions, there may be a natural gas leak. If you HEAR a high-pitched hissing or roaring noise, there may be a natural gas leak. that someone else will call. The most common way to detect a natural gas leak is using your sense of smell. The use of a gas detector is an additional and/or alternative safety measure for detecting a natural gas leak. Most gas detectors also detect carbon monoxide. These detectors are appropriate for your home. You may want to consider purchasing a second gas detector for your garage, keeping in mind that a carbon monoxide detector is not appropriate for a garage. Smoke detectors do not detect natural gas. If the warning alarm on your gas detector goes off, be sure to follow the same precautionary steps as indicated above – leave the area immediately and phone 1-888-7000-GAS (427). Some of you may have watched his show called To Catch a Contractor. 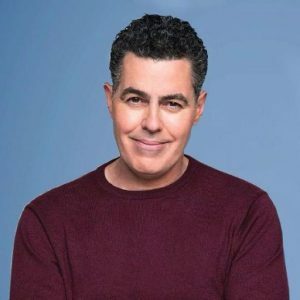 Before launching a successful career as a TV and radio personality, Adam Carolla was a master carpenter and home builder, so he knows the work of skilled craftsmen when he sees it. Likewise, he can spot shoddy construction, and in this series he trains his eye on building blunders and the contractors responsible for them. With the help of no-nonsense builder Skip Bedell and his wife, private investigator Alison Bedell, Carolla seeks retribution for homeowners who have experienced a construction nightmare, by tracking down unscrupulous contractors and forcing them to face the wronged parties. The contractors are then given a chance to redeem themselves by fixing messes they left behind — all while under Adam’s and Skip’s watchful . I watched a few of his shows lately and was pleasantly surprised by some of the lessons that rang so true for me. The first lesson hit home – Don’t work out of your area of expertise. This is so true for most, if not all occupations. If you’re not sure of what you are doing, get some help from an experienced person or refer the job/client to them. I have experienced this situation many times over the last 26 years in real estate and I do feel badly when I have to tell one of my clients, “No, I don’t work in that area of real estate, but I can connect you with someone good that does work in that area.” I have chosen to work residential in Regina and close areas around Regina, but real estate in commercial, acreages, cottages is not my area of preference or expertise. Yes I was licensed quite a few years ago and even though my license does include those specific areas, I have not pursued them because I don’t have the interest in them and haven’t pursued more training in those areas. I let the people that know what they are doing in these fields handle the clients. Another lesson he talked about was “Don’t undercut your competition to get the job.” So true. Real estate commissions are a high number and we turn blue explaining why (our costs from advertising to insurance to memberships to our split with our company and with the buyers company, etc.) The costs are a lot of money and thankfully they usually come from the sale price of the house as most property sellers don’t happen to have that amount of money just hanging around, waiting to be spent. Undercutting happens a lot in my business and it hurts all of us. Usually the agents that undercut other agents will also undercut their work for their client. Maybe they don’t advertise as much as others, maybe they don’t spend time following up on showings and leads, maybe they don’t keep in contact with their seller, don’t keep on top of the real estate market and share that info with their clients, etc. Unfortunately the seller doesn’t find this out until it is too late and they have listed with the agent who offered the lowest commission. Food for thought – if that agent was so quick to give up their money (commission), how quick do you think they will be to give up your money (sale price of your property) when an offer comes in? I’ve always believed in the saying, you get what you pay for. Thanks Adam. The home inspection process can be terrifying to go through, whether you are the seller or buyer. For sellers, it’s like having your annual physical and you are being reprimanded by your doctor for not eating right and not exercising, etc. For the buyers, it can be like finding your soulmate then discovering they are already married. Don’t let the inspection stress you out. That’s not what your inspector wants either. All he wants is to do his job and provide you with an inspection report so that you are a happy customer. Work with your home inspector to make the process easier and more effective. Knowledge is key! Here are 7 essential things you should keep in mind. We know your puppy/cat/snake is adorable and totally considered a family member, but even if your home inspector loves dogs or cats, pets on the loose while the inspection is happening makes the job much more difficult. For example, inspections require opening exterior doors, offering pets far too many opportunities to run out the door. Or the home inspector is afraid of your pet. When you leave the premises for the inspection—and many inspectors and agents ask sellers to do so – please take your pets with you. Whether you plan on being there for the inspection or not, make sure to clean up beforehand. No, you don’t need to turn your house into an isolation ward by cleaning like a mad person — an inspector won’t ding you because your fridge has fingerprints on the door. But all that clutter? Yeah, that’s all got to go. It makes a huge difference when the inspector walks into a property where everything is put away. Your home inspector will likely come up with a seemingly endless list of problems after the walk-through. Don’t panic! The inspector has been hired by you to do his job and report on what he discovers. Put it all in perspective. If you have never owned property, you might be overwhelmed, but speak to a home owner and they will totally understand. 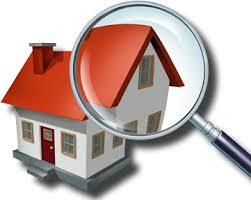 Every property including the realtor’s and the inspector’s, have problems and/or maintenance things. You are not alone. But there are times when you should worry, as in a major, costly fix (foundation, roof, etc). But not every issue is critical. 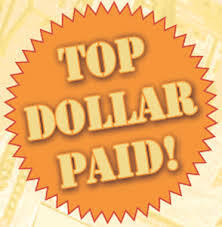 Your inspector will explain which problems you should tackle first and even give you an idea of the approximate cost. There are a few scary home inspection terms that seem to be in everyone’s vocabulary: mold, basement walls and asbestos. Yes, they are scary, but no scarier than a roof that needs replacing. Don’t worry so much about mold and radon! Everything is upgradable, fixable, or replaceable. You just need to have a list of what those things are and decide how you want to address them. That’s another of the many reasons you should have a realtor on your side helping you. We will explain all your options at that point. Here is one issue that you might want to stress out about (just a little) – water. No, it’s not a deal breaker. Remember that part where I said almost anything can be fixed? 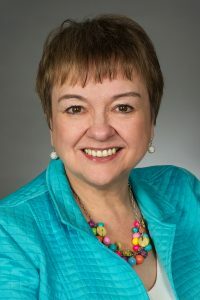 But it’s important to address any water-related issues before the deal closes—or at least immediately afterward. Make note of issues such as water marks, mold and leaky ceilings. And give special attention to the basement. Addressing water problems in the basement can be an expensive and difficult proposition. You might want to know how many more years the roof will hold up—and while your inspector might be able to give you a rough estimate, he can’t give you a precise timeline. Inspectors don’t have X-ray vision to see through walls or examine the motherboard in that funky new fridge that talks to you. He can’t tell you how long some things will last, but he can comment on the shape it is in, but remember that is relevant to the age of what he is talking about. Yes a furnace might be old but if it’s working fine and doesn’t need major repairs yet, then keep using it until you are ready to buy a new one. Barring any major renovations needed—such as a new roof or mold removal—your inspector’s visit will simply provide a to-do list. But not everything needs fixing immediately, so don’t let a long list dampen your love for the home. Just take things one at a time. Take a look at what the Canadian Real Estate Association said about Canada’s housing situation. CREA said home sales fell by 6.7 per cent last month compared to May — the sharpest monthly decline since 2010 and the third straight monthly contraction. The process of getting a property ready to put on the market can seem daunting enough. There is clearing the clutter, cleaning, organizing and scrutinizing your property with a fine-tooth comb. What needs attention and what can you leave alone? Pay attention to these 7 areas. It might not be glamorous, but buyers are looking at big-ticket items like the age and condition of the roof, air conditioning and heating systems, electrical panel and pipes. You don’t have to replace all, but if any of these components are on their last leg, you might seriously need to consider replacing them as these items could factor into the kind of financing the buyer is able to obtain as well as insurability of the property. Appraisers can be notorious for requiring a roof to be replaced, for example, as a condition of a loan. Replacing a roof that is at the end of its life before putting your home on the market will go a long way to solidifying buyer confidence in deciding to make an offer. The buyer (and you) won’t have to sweat what an inspector says, deal with a potential renegotiation before closing or face a price reduction. The last thing you want to be doing is putting on a new roof in the midst of trying to pack. If you lack the budget to replace these items, get estimates on the cost involved to replace. You can always offer to contribute to the replacement cost in the form of a credit to the buyer’s closing costs. Speaking of the exterior, how does your landscaping look? Are the trees and shrubs overgrown, worn and wilted? What about the ground cover? Are the planting beds in need of some fresh mulch, pine straw, rock, etc.? Are there any overgrown tree limbs hanging over the house or blocking the home’s view? For a relatively inexpensive investment, you can transform how your exterior looks by trimming back and freshening things up with new plants and landscaping. Buyers buy with their eyes, so now is the time to go through the interior in detail. Are there dents and dings on the walls, scratched moldings or worn paint? Now is the time to spruce up the inside with a fresh coat of paint. Pick light, neutral and on-trend colors. Choose a neutral palette that will transition well with any buyer’s furniture. The latest trend is a combination of grey and beige. Look at your light fixtures, ceiling fans and light switches — these are relatively inexpensive things to update and replace, yet they go a long way toward creating value. The front door? This is critical! Does it need a fresh coat of paint or new hardware? Consider adding a glass panel to create light that evokes a sunny and warm space. What you walk on creates value. If you can only afford to make the investment in one significant part of your home, consider updating the flooring. There are a ton of low-cost options to choose from that include wood plank tiles and highly upgraded laminate flooring — think wide plank, light colored or hand-scraped styles. New flooring can totally transform the look of your space and give it the “wow” factor that buyers desire. New flooring can transform the look of your space and give it the ‘wow’ factor that buyers desire. I’m so excited to share this with you. Recently online I came across a wonderful female Realtor that talks about crazy Sh*t in real estate. Yes that is Leigh Brown’s handle. I contacted her and she did an interview with me on the phone and now it is a podcast. Click on Episode 63 below to hear my embarrassing story about how I closed a sale many years ago. Pink button to hear the recording which is more fun that the written summary.